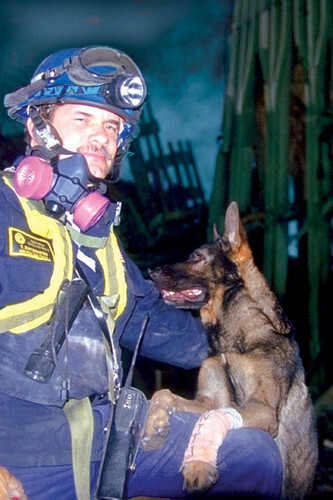 Among the memorials being hosted this coming Sunday is a march in Liberty State Park, NJ saluting the dogs that served on search & rescue, therapy and security teams in the days following 9/11. Though the ceremony’s invitation only, we can all still send positive vibes to these brave canines and their handlers. This entry was posted on Wednesday, September 7th, 2011 at 3:08 PM. It is filed under Blog. You can follow any responses to this entry through the RSS 2.0 feed.